I’m thrilled to announce my new partnership with Sprout Patterns! Sprout is an offshoot of Spoonflower, the print-on-demand fabric company. Sprout Patterns “offers curated indie sewing patterns combined with Spoonflower designs to create customized modern cut and sew projects.” What does that mean? 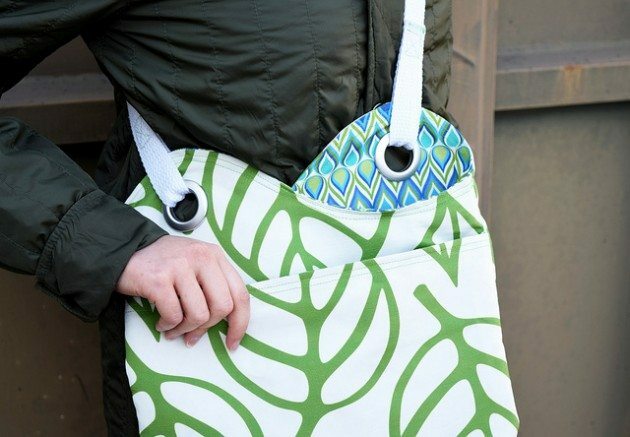 You can go to Sprout, choose a sewing pattern (like my Sidekick Sling Bag, above) then choose your fabric and print! What you get is a panel of fabric with the pattern pieces printed right on the fabric! Here’s an example of the Sidekick panel, with my Retro Floral printed on Faux Suede. I chose another print from the Spoonflower library as my lining. Stay tuned for an upcoming post showing how it all comes together. I’m delighted to be in the company of 6 amazing pattern designers also partnering with Sprout, offering patterns for women’s kids and men’s apparel. Something for everyone! Go take a look! I consent to betzwhite.com collecting my details through this form. 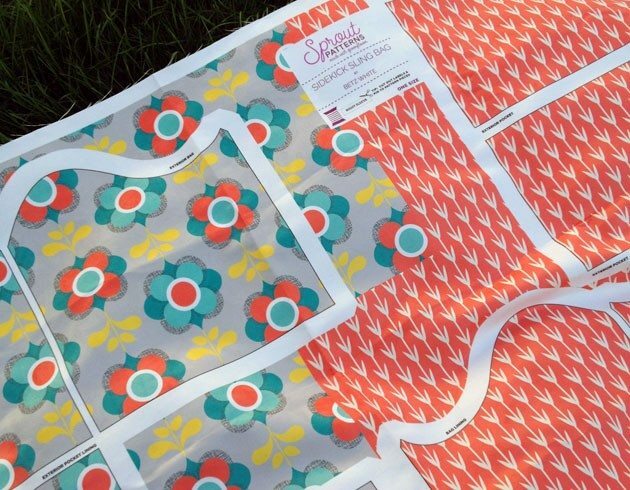 Spoonflower Fabric + Present Perfect Giveaway! Love your patterns and fabrics. I’m trying to figure out just how I would order the cut-and-sew pattern. Guess I’m just thick, but I don’t get how to do it. Please help! You can click on the Sprout link in the post and choose what pattern you would like from the drop down menu. Then click on “create your own”. The site takes you through the process with a cool 3D model to show you which print goes where and how your project will look when it’s done. I’m glad to see you’re working with them! We love you and your designs Betz! So excited to have you on the team. The adorable reversible bucket hat is coming up next-very very soon! Just learned about your patterns, they look like lots fun and very nice, can’t decide which to try first. This website accepts books for review and uses affiliate links. All opinions are that of the website owner. All content provided on this website is for informational purposes only. The owner of this website makes no representations as to the accuracy or completeness of any information on this site or found by following any link on this site. Be a VIP! Member benefits include exclusive discounts, early bird specials and first dibs on new designs! Subscribe now to stay in touch!